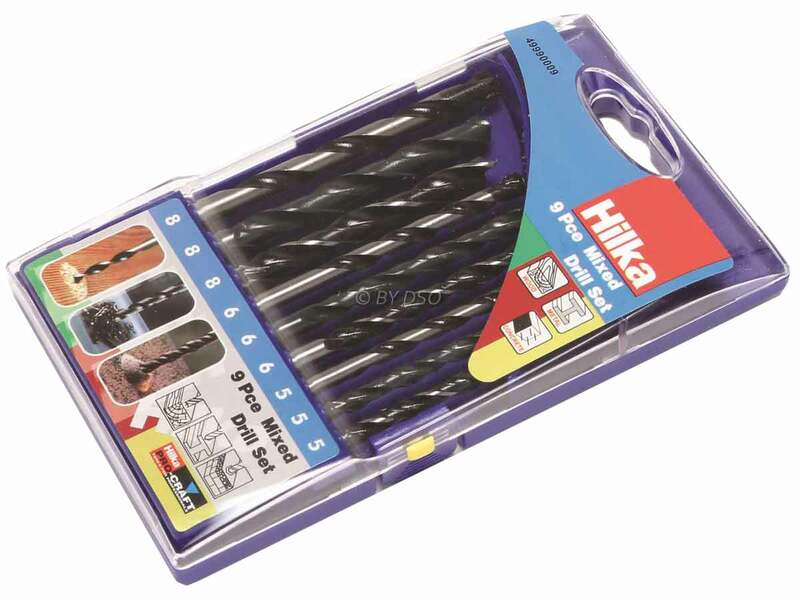 High quality mixed drill set in plastic carrying and display case. Suitable for wood, metal, concrete and other materials. Sizes: Wood boring - 5, 6, 8mm. HSS - 5, 6, 8mm. Masonry - 5, 6, 8mm.